Joshua Ferris continues to impress me with his writing, though To Rise Again at a Decent Hour would be my least favorite of his first three novels. I fell in love with Paul O’Rourke, the regretful, misanthropic, sardonic New York dentist, but, although very funny, the novel slides a little too far into the religious realm. Yes, internet trolls, I know that this is what the book is really all about, but I certainly did not pick up the book expecting such religious density. It definitely lost me in parts but the parts where I marveled at Ferris’ prose more than made up for it. He is a very accessible author and any of his novels are worth a read! 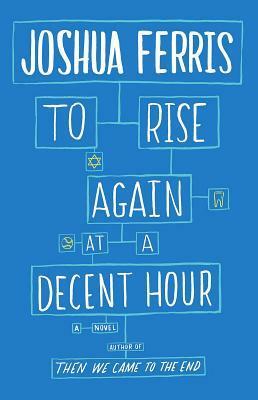 This entry was posted in Book Reviews and tagged Book Reviews, Fiction, Joshua Ferris. Bookmark the permalink.